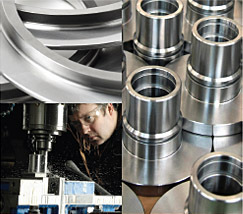 our Canadian facilities can get the job done efficiently, cost effectively and on time. Contact one of our experienced staff to review your requirements and provide that Value Added Solution. Elimination of process "Bottle Necks"
Marmon/Keystone's Value Added Program has reduced our item cost by as much as 25%. We are 100% satisfied with the quality of Marmon/Keystone Value Added Products supplied.